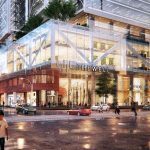 The Well is a massive multi-use development that is coming to the heart of downtown Toronto and will span over 7.5 acres. 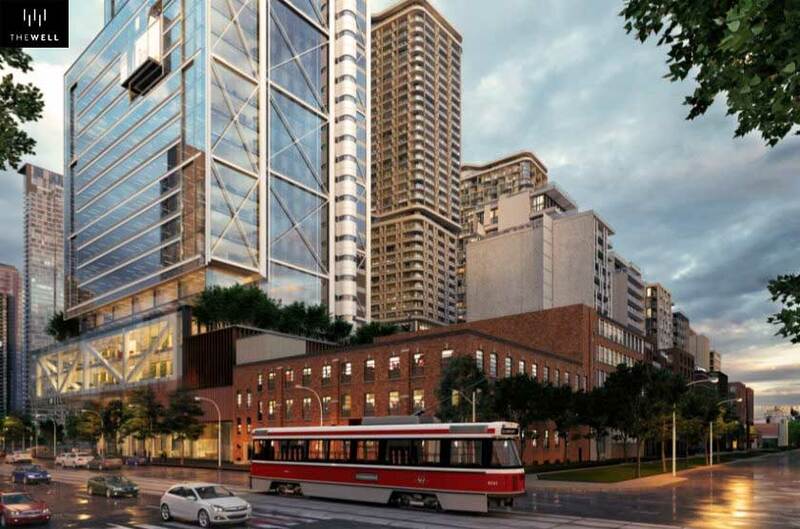 It will be situated on the apex of the Wellington Place neighbourhood and the Entertainment District. This is unquestionably one of the best neighbourhoods in the entire GTA, and it’s the best place to have uniquely Toronto experiences. 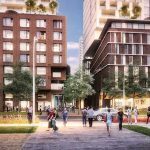 The whole development will have 7 high-rise buildings, 6 of which will feature residential units. 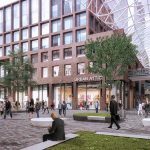 The tallest building in the complex will stand at the southeastern side of the block, and it will be entirely allocated to office use. 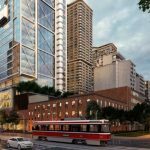 This project is soon going to be one of the iconic mixed-use developments that will define the identity of Downtown Toronto. Although recent history has us remember the site’s legacy as the home of The Globe and Mail, its roots are indeed much deeper than that. Front Street was one so named because it was the shoreline between the City of Toronto and Lake Ontario. At one time this was meant to be space for parks and public gardens. 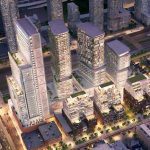 The spot on which this development sits was originally a military reserve surrounding Fort York. This was an integral defensive point during the war of 1812. After the war, this became the site for Wellington Place, which was a beautiful urban space with tree lined boulevards and two public squares. This all came crashing down after the Great Toronto Fire of 1904. Much of Front Street West was completely destroyed during this catastrophe that changed the history of Toronto. It was estimated that over ten million dollars in damage was done at the time, which translates into nearly a quarter of a billion dollars today. While tragic, it opened the way for railway expansion and spurred rapid industrial and economical growth in the area. This was the beginning of Toronto’s printing and garment industries. The neighbourhood is mostly known as a hotspot for trendy bars, chic restaurants, and boutique shops, but even this culture is informed by the area’s sometimes tumultuous past. Without the initial military compound, perhaps there’d be no Toronto at all, and without the fire and the following industrialization, maybe there’d be no Victorian era industrial buildings that make up the DNA of the city. 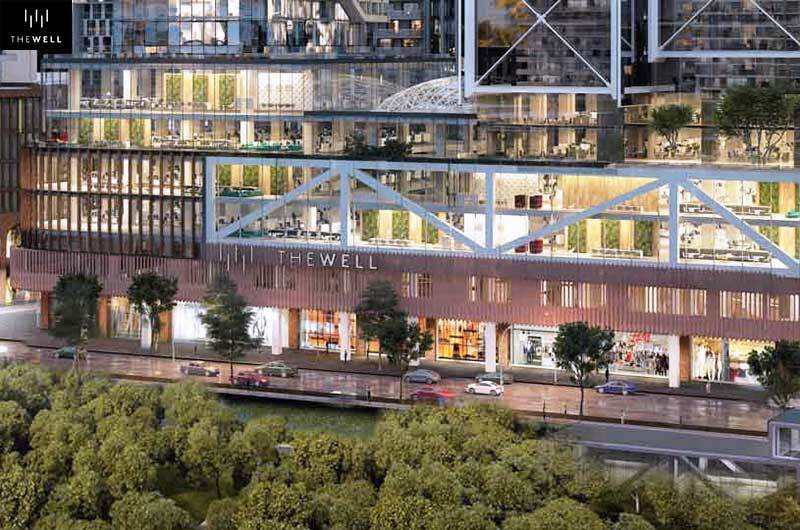 But now the area is ready to step into the future with this new master-planned community at The Well that will come to be known as the new heart of Toronto. 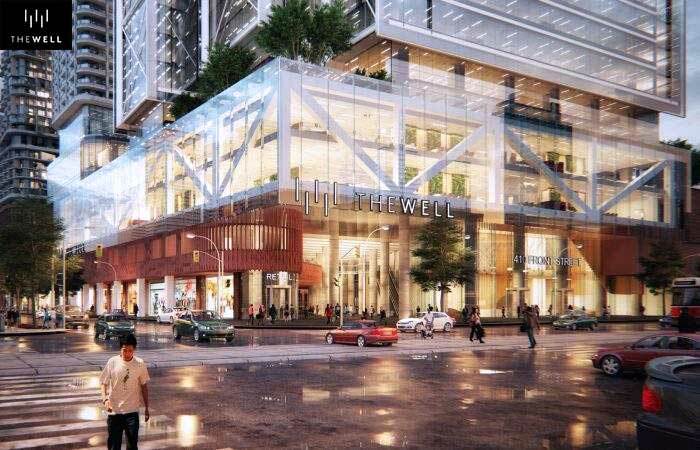 The northernmost buildings at The Well development are identified as Buildings A, B, and C, and they will sit along Wellington Street West. 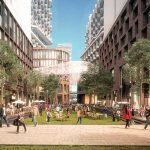 They will be completely allocated to residential use. To their east is an existing building, to the south they’ll border the rest of the development, and to their west are existing residential low-rises. While not identical, these buildings are all very similar. They each have 8 storey stepped red brick podiums, from which glass and steel towers rise. The eastern and centre building are 14 storeys and are 61.9 meters tall, while the western building is 13 storeys and 55.3 meters tall. The high-rise buildings on the southern side are a bit more unique. The southwestern building, known as Building D, will border Front Street to the south, existing residential low-rises to the west, Building C to the north, and Building E to the east. 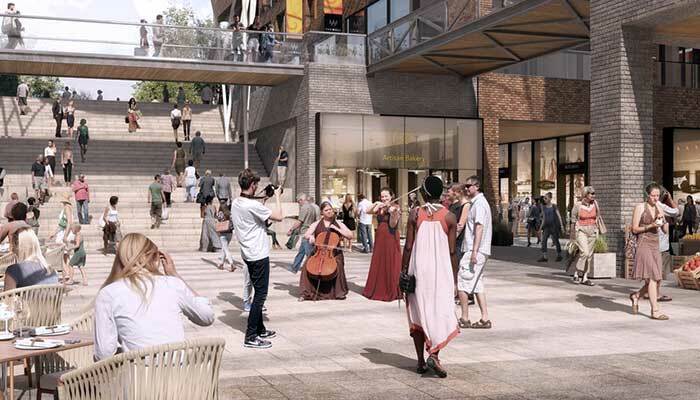 Building D ‘s three storey podium is planned to be a cinema. From this podium, a 21 storey 80.4 meter tall tower will rise, which will be allocated for residential use. Building E borders Front Street West to the south, Building D to the west, Building B to the north, and Building F to the east. 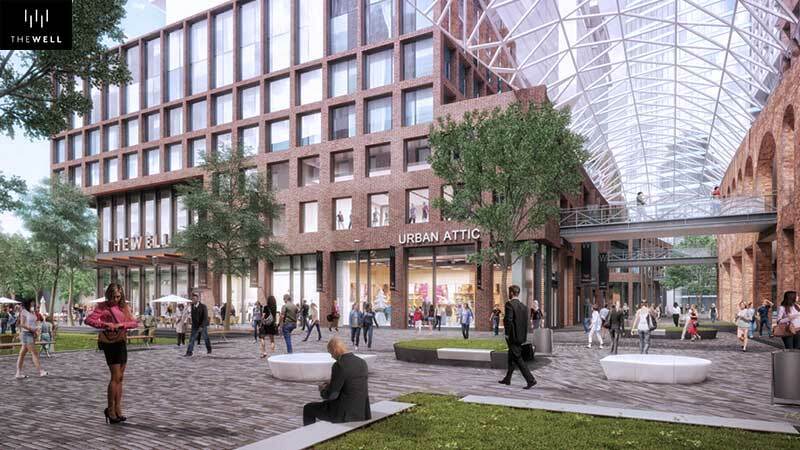 It will have a 7 storey podium, in which the first two floors will be for retail. The remaining 5 storeys will be office space. The tower that ascends out of the podium will be 38 storeys high and 135.4 meters tall. This tower will be allocated for residential space. Building F shares a podium with Building G to its east, which is the dedicated office tower. Building F’s south is Front Street West, Building E to its west, and Building A to its north. 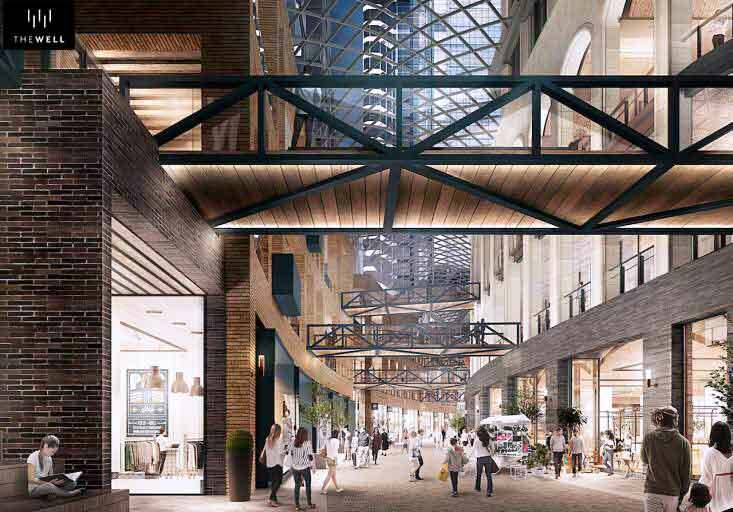 The shared podium will be 7 storeys tall on Building F’s side, and it will step down to 5 storeys for Building G. The first two floors will be for smaller retail units, while the remaining floors in the podium will be for office space. A 45 storey tall, 156.4 meter tower will climb out the podium, and it will be for residential use. In total, there will be 1,537 residential units in this master-planned community. 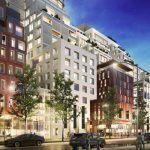 This breaks down into 835 one-bedroom units, 534 two-bedroom units, and 168 three-bedroom units. 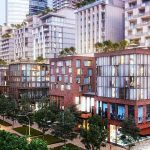 The residential units are planned to be a mix of functionality, accounting for those who are looking to purchase high quality condominiums, and also those looking to invest in purpose-built rental units. 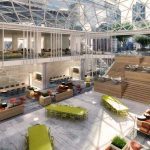 There will be a total 503,579 square feet of retail floor space, and over 1,000,000 square feet of office floor space. 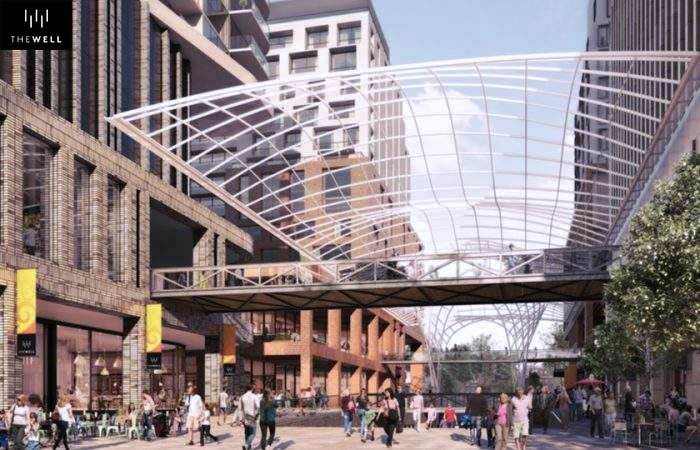 The retail area is designed to become one of the premier shopping destinations, not just for residents of this community, but for the entire region. 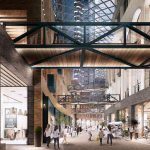 The Market Hall is an Old World inspired food market that will feature fresh produce, meat, seafood, as well as artisanal preserves and sauces. 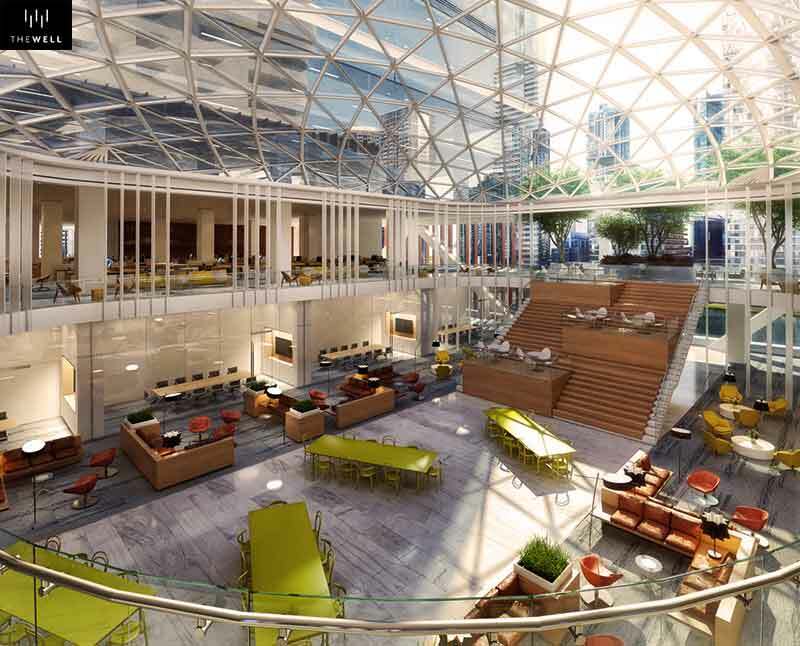 The crevices in between the buildings will have glass canopies overhead, providing protection from the Canadian weather, while also being an aesthetically pleasing choice. You're never far from what you need. 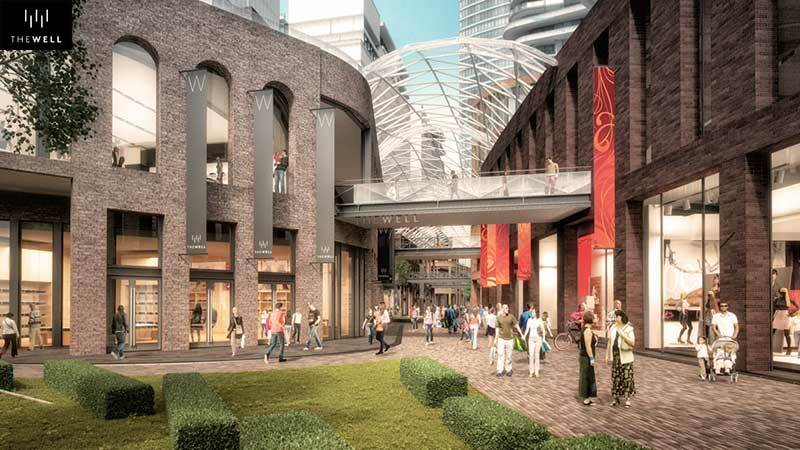 Shops, services, meals and entertainment are all an elevator ride away at The Well. 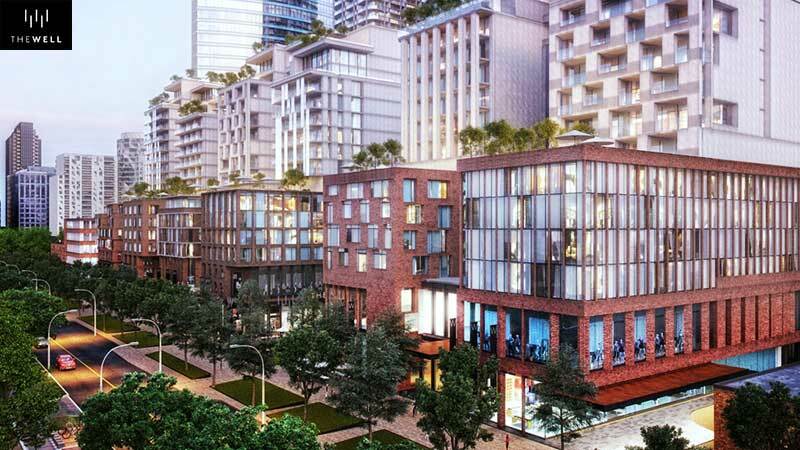 The surrounding neighbourhood is one of the most distinctly vibrant areas in all of the GTA. 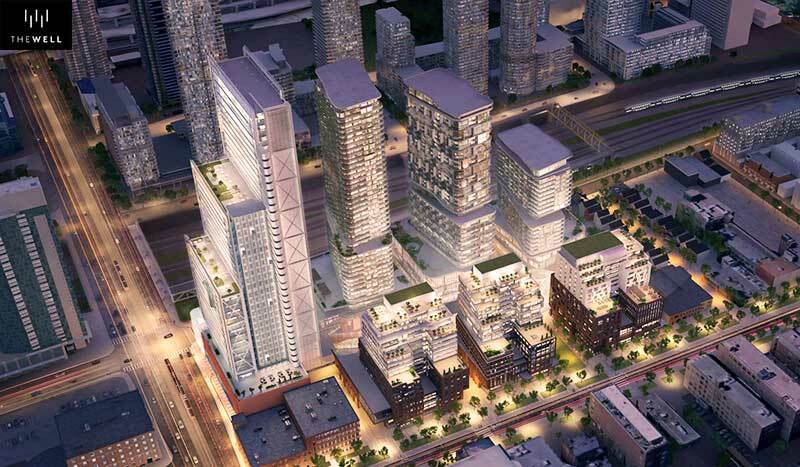 To the north, residents will be able to scope out King West Village. 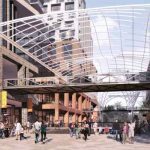 This stretch has some of the best bars and restaurants in the city, and it is a popular destination for young urban professionals looking to let off some steam. 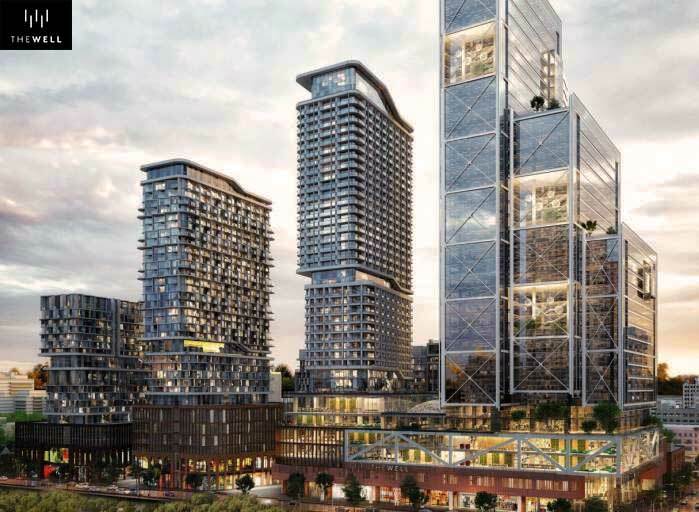 The Entertainment District is to the southwest, and this is the home to two of Toronto’s favourite sports teams, the Blue Jays and the Raptors. It is also the home of the CN Tower, so it’s not hard to miss. Being in the centre of Downtown Toronto also means there is great public transit. Nearly every street in the region is heavily serviced by street level transit. This makes it easy to commute through your local communities. Union Station - the heart of the TTC - is only a few minute’s walk away, and from here you can get anywhere else in the GTA by either the subway, or GO Transit. For drivers, the Gardiner Expressway is incredibly close. This arterial roadway connects you to the entire GTA. Mississauga and Scarborough are both supremely accessible from this route, as well as northern communities via the Don Valley Parkway. 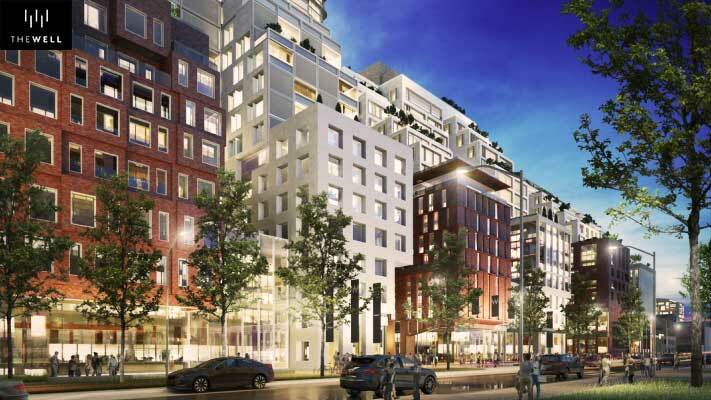 This massive high-rise development endeavours to revitalize an already vibrant neighbourhood. 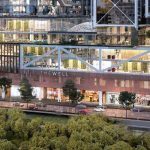 It is going to bring much more density to the area, while also delivering world class shopping and much needed office space. 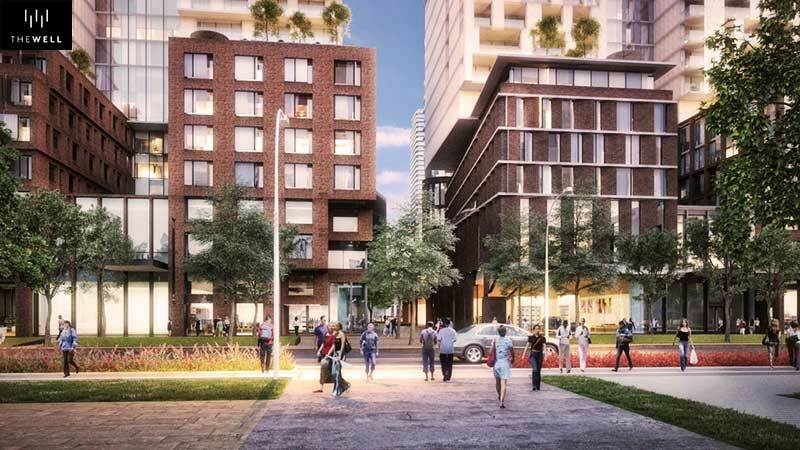 This single development is going to bring diversity to the area with its varied unit type. The neighbourhood and its surrounding area isn’t just at the geographical centre of Toronto, but its spiritual core as well. 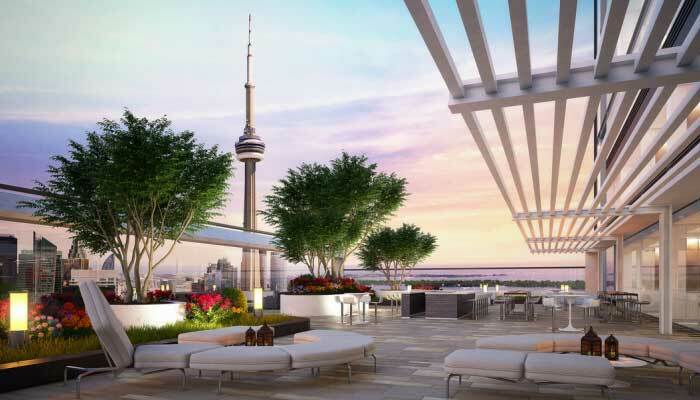 The CN Tower, Blue Jays, Union Station, and King West are all only a few steps away. 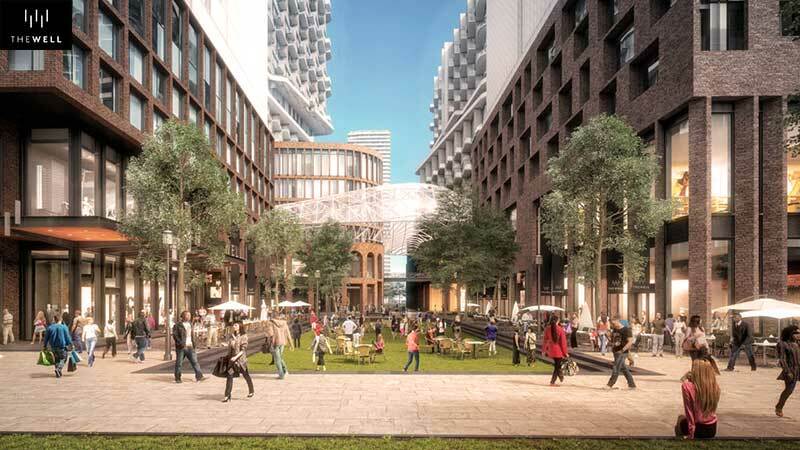 The Well will turn into a meeting place that will reflect the heart and soul of Toronto, encouraging us and bettering our aspect of existence. The Well is at the heart of it all. 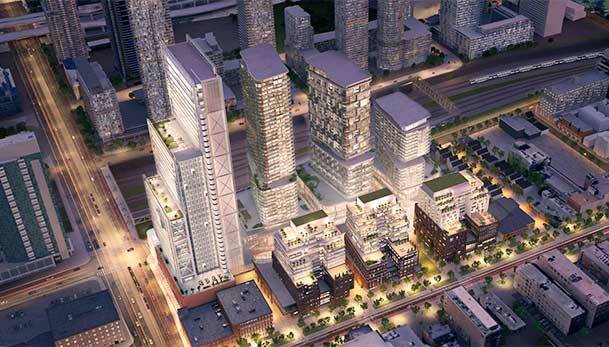 Tridel is one of the most prominent and influential developers in the GTA. 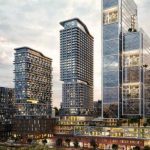 While most of the city’s explosive growth in high-rise condo developments occured after the year 2000, this developer has been building condo high-rises since the 1950’s. 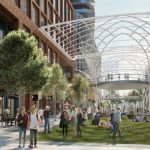 They’ve been able to maintain their consistent success by pushing the envelope in design, functionality, and the creation of master-planned communities. They’ve contributed so much to Toronto’s skyline, and they’re showing no signs of slowing down. RioCan REIT is Canada’s largest real estate investment trust, and they were founded in 1993. 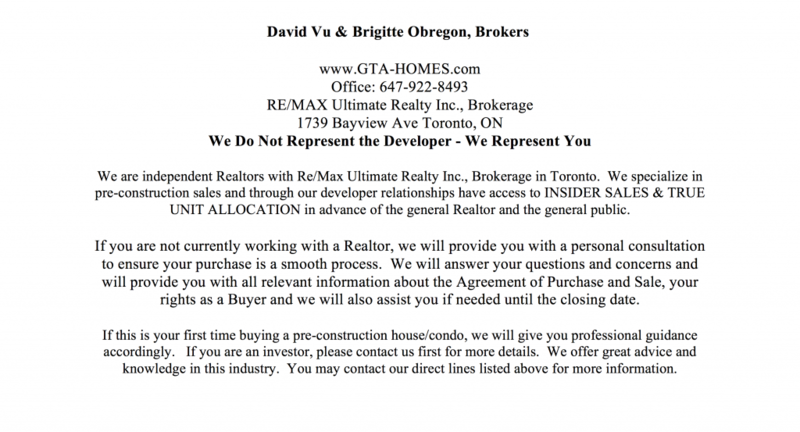 They are typically involved in the retail side of development, and they are present throughout all of Canada. 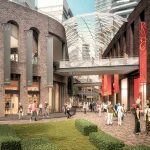 They are expanding into mixed-use communities where they can take their expertise in retail and thrive throughout Canada’s six major markets. 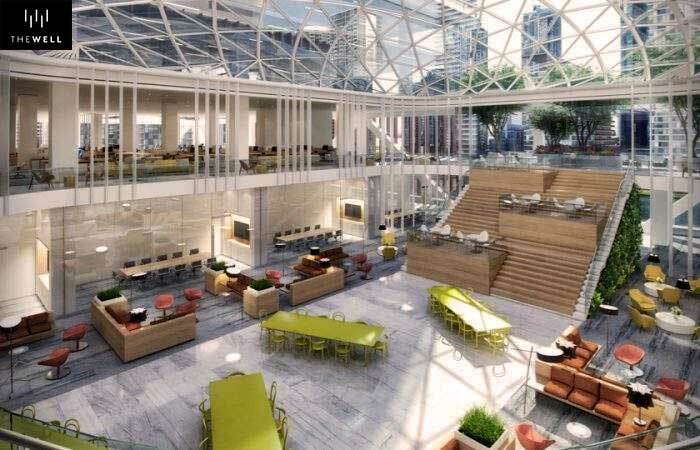 Allied Properties REIT is renowned for its ability to build amazing urban office environments. 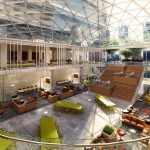 They have a reputation for not only increasing the value of their developments, but also profitability for their business tenants. This company aims to provide stable growing cash distributions to its unit older, and they plan on achieving this goal through superior management and accretive portfolio growth. Diamond Corps in one of the names that’s directly associated with premier real estate development throughout Toronto. 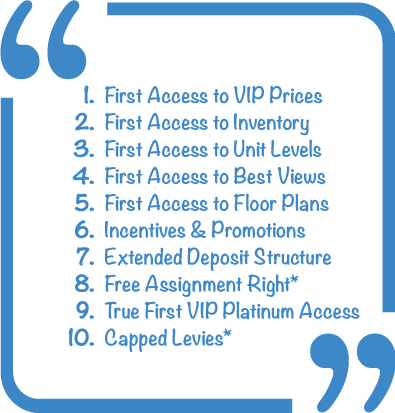 They are an award winning developer known for both their residential and mixed use communities. They were known as leaders in the industry from their inception, as they were born out of the legendary Cadillac Fairview Corporation Limited. 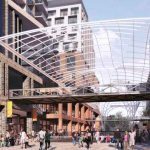 Register for The Well today and be part of this massive ambitious development set to transform the city.